Hanna Aase, one of the leading social media experts in Scandinavia and Founder of Wonderloop, pitches her app and tells her personal story of how DLD changed her life. Hanna lost her family at the age of 14 through a car accident. She spend a lot of time on the internet. That's why she became one of the leading social media experts in Norway. Hanna tried to figure out what does it take to connect with the world and founded her first company at the age of 24. Her role model: Oprah Winfrey. The moment when Oprah gave away a scholarship to someone, the happiness on their faces - that's what Hanna likes to give to everybody. The idea of Wonderloop was born. an we see all people in the world? On our mobiles? Wonderloop is a platform for meeting new contacts without photos, without long biographies, only by a short video introduction. After attending DLD with a scholarship, Hanna was inspired and applied for governmental funding - that's the way Norway is funding things as a rich country. But Norway denied. Hanna's idea was too ambitious and too crazy for them. Her bank didn't want to give her the necessary 100,000 Dollars for rebuilding her company. She quit and found another bank, willing to give her the money. The next DLD event she had a first app version to show. 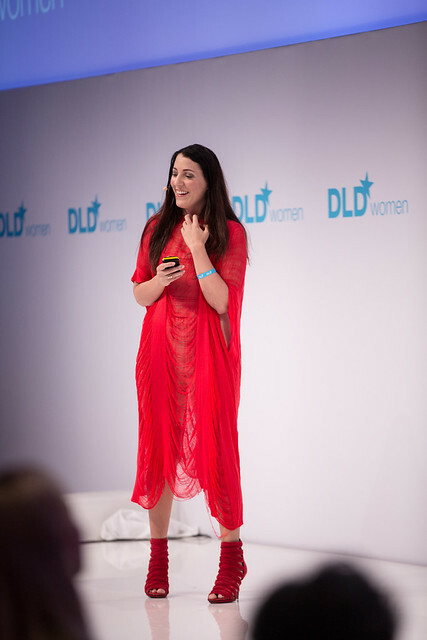 She blogged about her experience at DLD and what kind of inspiration it was for her. At the U.N. in New York she talked about her way - and finally, the app is available in AppStores right now. But that's not the best part of her story. The first time people shared their stories about Wonderloop on Twitter Hanna realised what's really going on. She made it. Her dream come true. People meet for coffee because of Wonderloop. But what's next? Video will be next! Teens love videos. That's why YouTube and Vine are such successful. Wonderloop is now on the way to be the future of hiring. Best example: they hired Julie, a young Norwegian via Wonderloop itself.